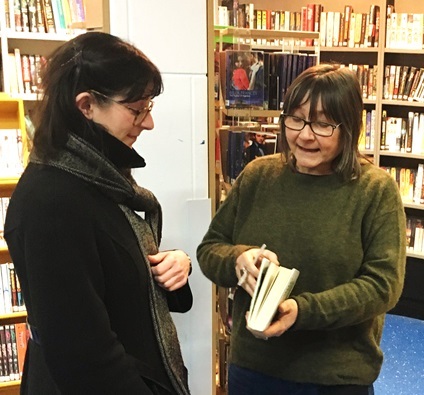 More than fifty people braved a cold wet Monday evening to come to prize-winning author Ali Smith‘s inspiring talk in praise of public libraries. 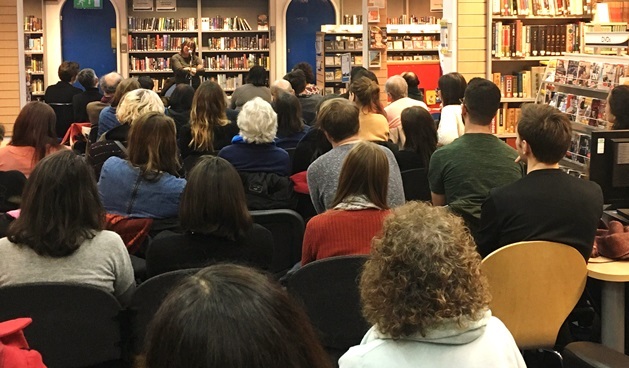 The audience was enthralled for the whole 45 minutes of Ali’s talk in Charing Cross Library. 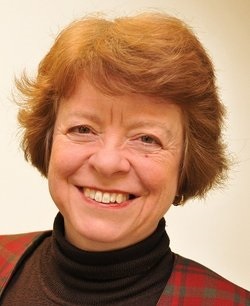 She gave a fiercely intelligent, passionate and valuable insight into the role libraries play and why we need them so much, as well as how she came to gather the material for her book Public Library and other stories. After the talk, she signed copies of her books that people had brought with them. A fantastic evening. 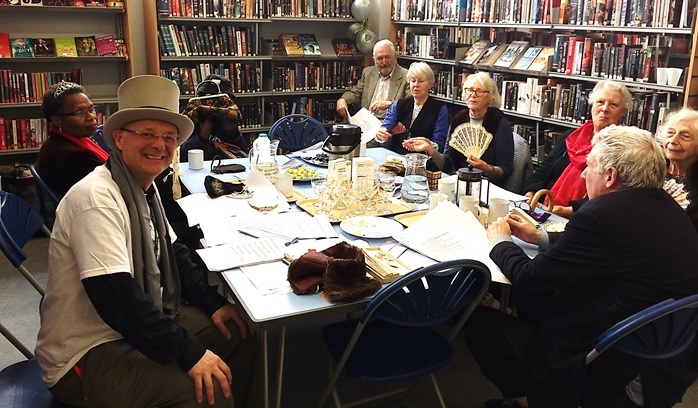 Mayfair Library held two heartwarming events last week. 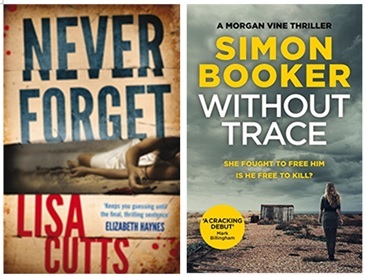 On Monday 28 November, Karen Gee read her book, ‘How I Became Dodger Dog!’, which is based on the true story of how an unwanted little Staffie puppy found his ‘forever home’. Around 30 excited children came to Mayfair Children’s Library after school to hear Dodger’s story and to receive stickers and balloons. 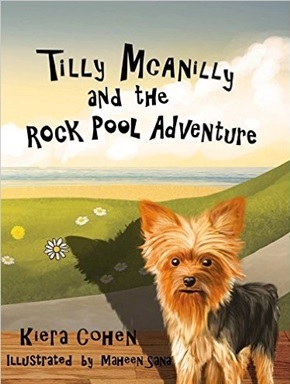 The reading was warmly received by children and parents alike and was both entertaining and educational, promoting responsible dog ownership. 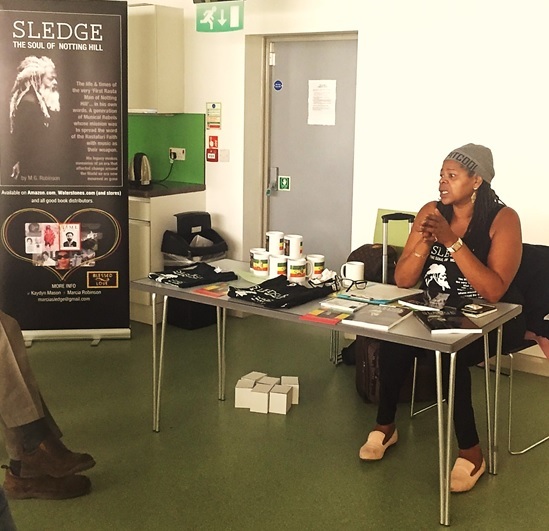 Signed copies were available to buy, with 25% of the profits going to dog charities throughout the world. 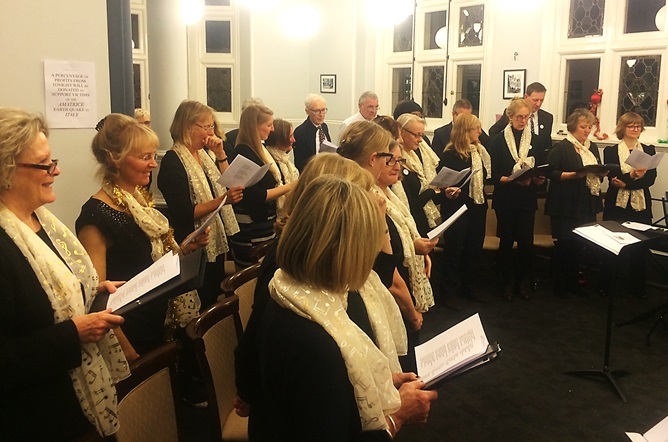 The next day, Christmas started early when the Mayfair Community Choir performed their Welsh-themed Christmas concert. 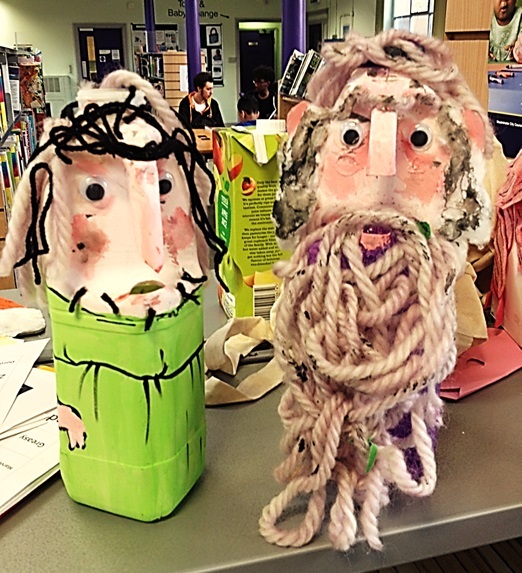 There were readings from A child’s Christmas in Wales, interspersed with verse and carols. The evening finished with wine and welsh snacks. 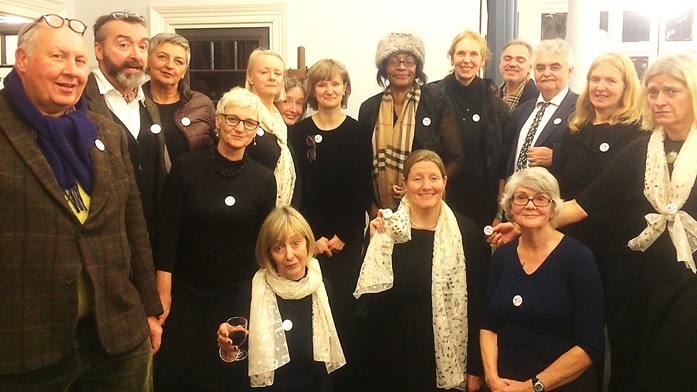 The choir all wore badges proclaiming ‘I love my Librarian’ and made a rousing plea to all present to express their support for librarians in Westminster. Commuters reading the London Evening News on Christmas Eve 1925 would have seen a new children’s story called ‘The Wrong Sort of Bees’, featuring the first appearance of a honey-loving bear. What the readers wouldn’t have known is that this wasn’t the last they would hear of this particular bear. 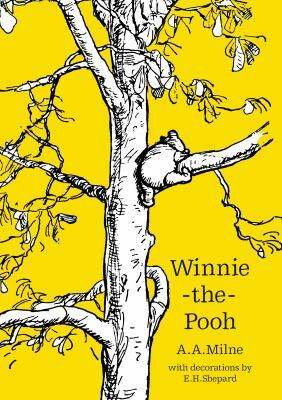 Ten months later, on 14 October 1924, Winnie-the-Pooh was published and everyone’s favourite bear appeared between hard covers for the first time. 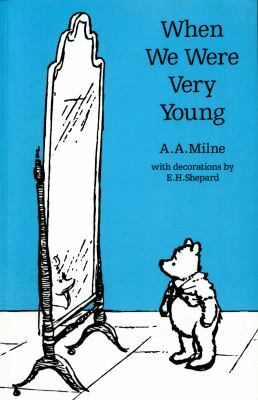 Pooh’s creator, AA (Alan Alexander) Milne (1882-1956) grew up in Kilburn, where his father ran Henley House school. 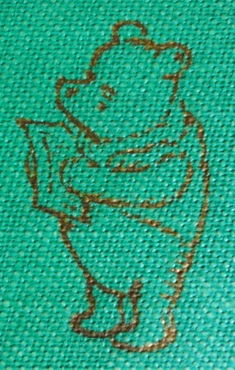 The school boasted HG Wells as one of its teachers and for a time Wells did teach the young Milne. 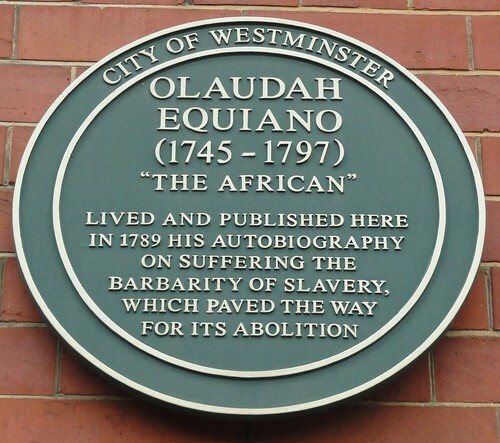 He then went onto Westminster School and Trinity College, Cambridge where he made the right contacts and was able to get a job working on Punch. As well as writing comic essays and sketches he found success as a a novelist and as a playwright (The Dover Road was recently revived at Jermyn Street Theatre) but it was as a writer for children that he found lasting fame. 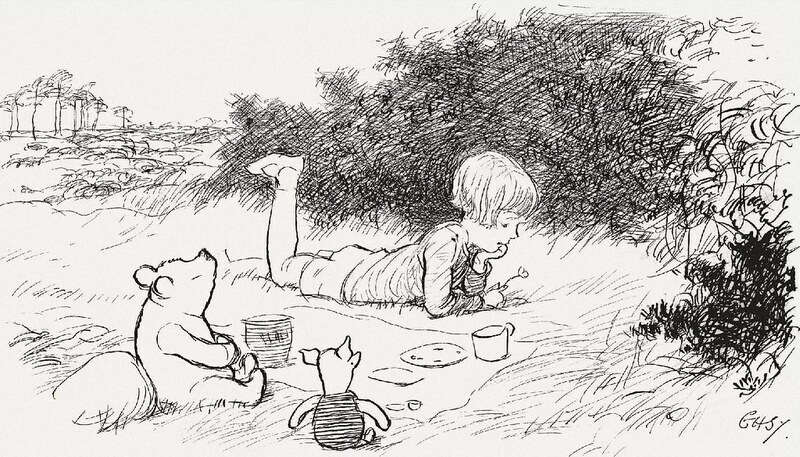 In 1921 Milne bought a teddy bear at Harrods for his baby son Christopher Robin which was soon named after Winnipeg, a Canadian bear in London Zoo. Winnipeg was a female bear which presumably accounts for the nickname Winnie. 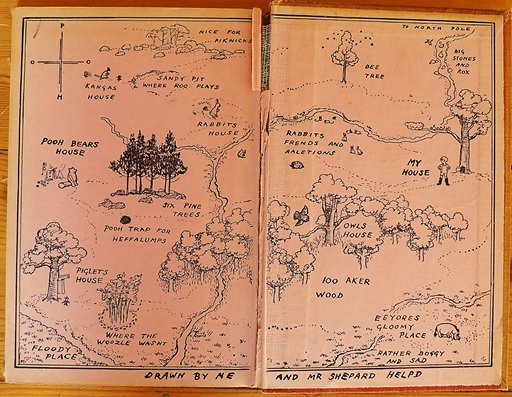 Young Christopher’s toys also included a donkey, a kangaroo and a piglet and later a tiger (but no owl). 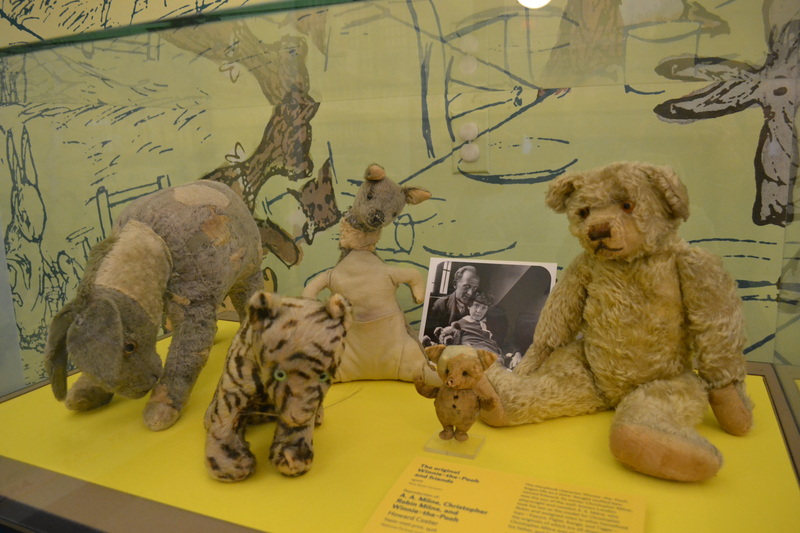 These toys, along with Christopher Robin himself found themselves appearing in Milne’s stories. 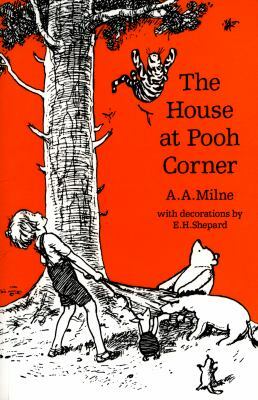 The initial 1925 publication in the London Evening News was followed in 1926 by Winnie-the-Pooh, with The House at Pooh Corner following in 1928. The books were instant successes. Christopher Milne found himself a rather unwilling celebrity and the subject of much teasing at school. Eventually he left London and spent many happy years running a bookshop in Dartmouth, Devon. 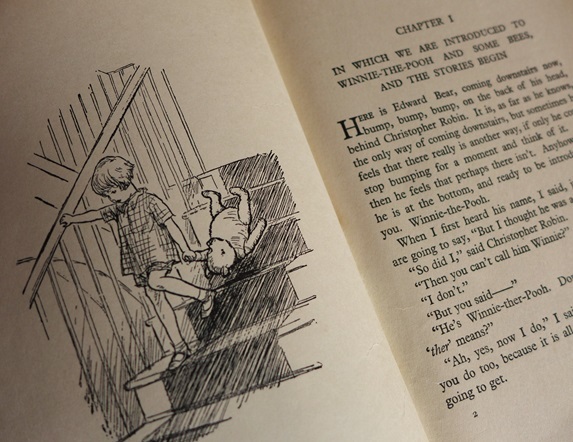 For many of us, our enjoyment of the stories owes as much to the charming pictures as to the text. And these were drawn by another Londoner – EH (Ernest Howard) Shepard (1879-1976), who spent much of his life in St John’s Wood. 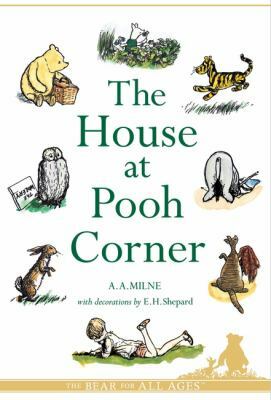 He was born at 55 Springfield Road and in the 1930s lived in a splendid house in Melina Place with his son Graeme, whose own bear Growler was the model for Shepard’s drawings of Pooh. 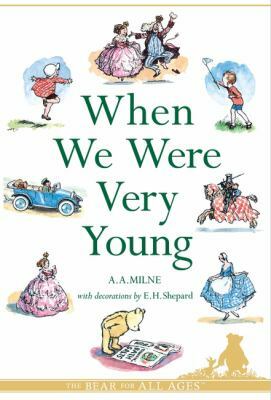 Shepard, of course, also drew the most famous set of illustrations for The Wind in the Willows (which AA Milne dramatised as Toad of Toad Hall) and he wrote a charming memoir of his St John’s Wood childhood called Drawn from Memory. This includes his memories of Queen Victoria’s Golden Jubilee and the famous 1887 fire that completely destroyed Whiteley’s department store (then in Westbourne Grove) which could be seen from Highgate Hill. 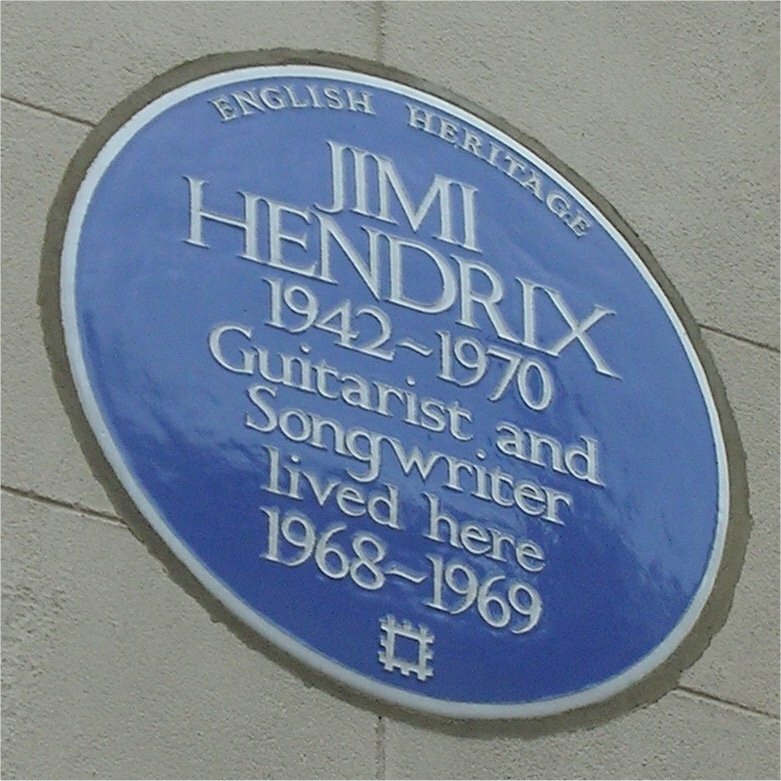 You can see a plaque to EH Shepard at another of his Westminster homes – 10 Kent Terrace, Regents Park. 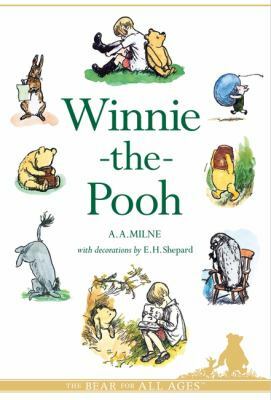 You can find out more about AA and Christopher Robin Milne and EH Shepard in the Oxford Dictionary of National Biography (log in with your library card number). You may also wish to look at the splendid bound volumes of Punch held by Westminster Reference Library. 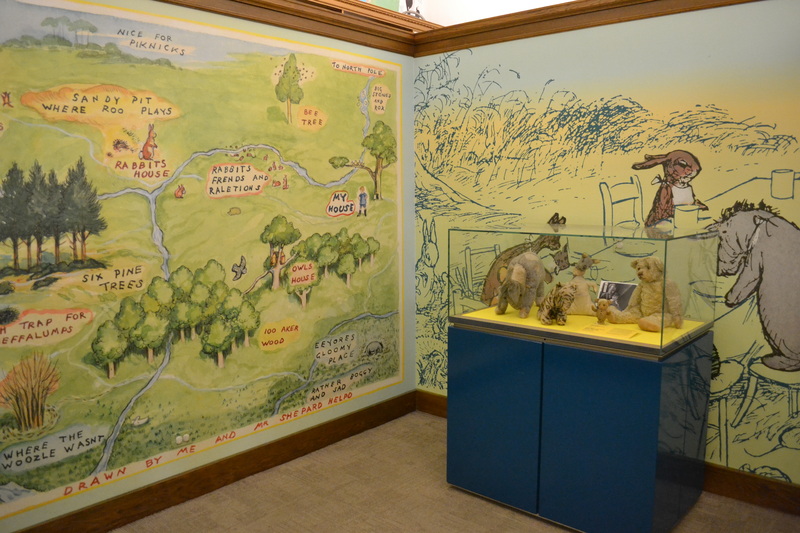 And of course, you’ll find plenty of Disney DVDs in our children’s libraries though you’ll have to try to ignore the American accents and the incongruous Gopher – we all know the real Pooh was a true Londoner!